Local restaurant group helps raise Treats for Troops! I first met Karin King from Treats for Troops about a year ago at a WWOTB networking event. Treats for Troops sends care packages with items ranging from toothpaste to beef jerky over to United States troops serving in remote areas of the world who don’t have access to a store on base. I remember thinking, “that’s nice, I bet she has a son or daughter fighting in the war and this is a way that she can support and honor them.” However, fast forward to a year later when The Melting Pot of Tampa, St. Petersburg, Oldsmar and Sarasota partnered with Treats for Troops to collect donations for the organization when I realized that was not the reason she is so passionate about caring for our troops. 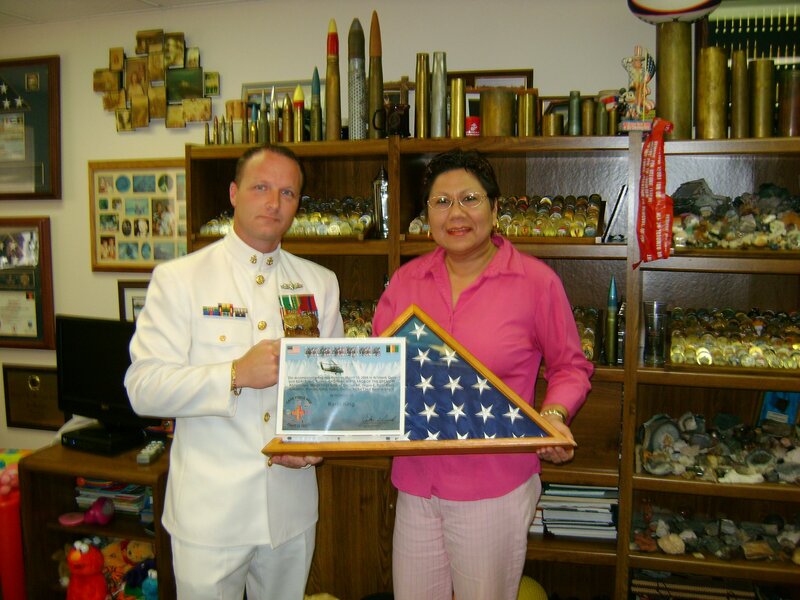 When Karin King is asked why she does what she does for the troops, she says, “because of my freedom.” Upon getting to know Karin better, I found out that Karin is, as she says, “a brand new American.” She became a U.S. citizen in 2006. Karin met her husband in the 90’s when he was working in her native country, Suriname in South America. They eventually married and moved to the United States. Karin King founded Treats for Troops during the holiday season in 2007 when a family friend asked her to bake cookies to send overseas to the troops. The funny thing is, she did not know how to bake and says, “I almost burned the house down!” However, she did bake some cookies, which turned out to be delicious and the overwhelming response she received in letters back, thanking her for the cookies and asking her to send more supplies led her to the realization that these soldiers needed more than just cookies. With that, Treats for Troops was founded. Karin spends her time creating awareness in the community, while she has a team of volunteers back at the warehouse who arrive at 4 a.m. every morning to pack and ship boxes. Treats for Troops ships six tons of supplies per week and its postage bill can top $65,000 per month. The organization is run completely off donations and none of the volunteers are paid a dime for what they do. Treats for Troops receives donations from many different donors including Lance, Boy Scouts (which donates popcorn), Girl Scouts (which donates cookies) and even Zephyrhills Water Company which donates hundreds of dollars in boxes each month to pay for shipping. Many of the treats and goodies that are sent to the soldiers are eventually shared with young boys and girls in the communities in which they serve. Karin shared with me that over 90 percent of the intelligence the soldiers receive is received directly from the children in these countries. The children tell the soldiers information such as where the bombs are hiding and where members of Al-Qaeda are located. The number one request from the soldiers is for coffee, as the soldiers need to stay alert at all times. The second most frequent request is for baby wipes, as showers can be few and far between when the troops are stationed in remote areas. I recently spent some time in the Treats for Troops warehouse and was moved by the number of men and women who donate their time to the organization to send care packages to people they have never met. These men spend hours a day, covered in sweat, packing and shipping. Many of them being veterans themselves remember how nice it was to receive a care package when they were serving years ago. "The Coolest Outdoor Lounge Party"
Who wants to attend the "The Coolest Outdoor Lounge Party" in St. Pete? Working Women of Tampa Bay is giving away 2 VIP tickets to the 3rd Annual Chillounge Night on Saturday, November 20th. The tickets are for The VIP Lounge - which is currently SOLD OUT. Inside the VIP Lounge, food, drinks, cigars and gift bags are complimentary!!!! Here's what you have to do to win! Be present at the St. Pete Happy Hour sponsored by Florida Lifestyle Pools and American's Business Manager to receive your tickets! Drawing will take place at the Happy Hour at 8pm on Wednesday (11/10) at Queenheads Restaurant. Hope to see you there! 6 pm - 11 pm. Straub Park will transform again into a magnificent outdoor lounge with 6 trucks of beautiful lounge furniture. Benefiting Creative Clay and The Woodson Museum. Be part of the transformation...this unique event, where the live broadcast and Park setting under the stars will be filled with life...and everyone will remember this enchanting evening. New Atmosphere Productions, the Gulf Coast's Premier Full Service Special Event Company who is responsible for Stage Light and Sound. Producer and Director Rainer Scheer. 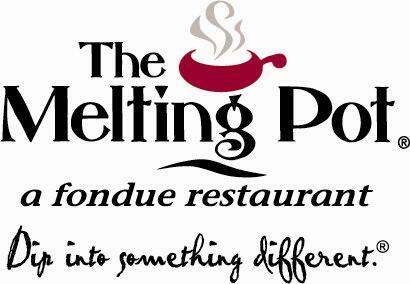 Working Women of Tampa Bay is teaming up with members Cindy MacRitchie and Tonya Seay to host a special Fondue Night at the Carrollwood Melting Pot on Election Day, November 2nd. One lucky winner will get to come to the event for FREE! To enter to win, you must be a fan of Working Women of Tampa Bay, Keeping the Balance and Strategic Success Builders. Plus! 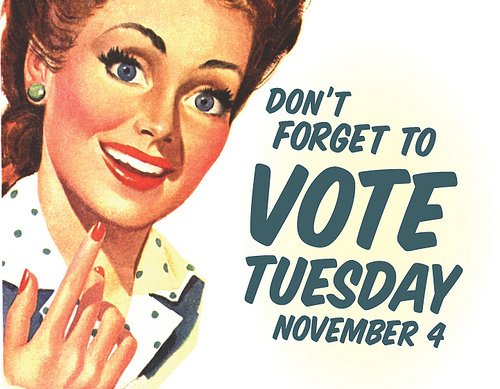 Post a comment on this blog about why Working Women should exercise their right to vote. Guests who come to the event wearing their "I Voted" sticker will also get an extra raffle ticket for the prize drawing! We'll announce the winner on Friday! Good luck! Working to 9 to 5.... What a way to make a living! Want to win (2) free tickets to see the musical hit comedy 9 to 5: The Musical? Working Women of Tampa Bay is teaming up with the The Straz Center for the Performing Arts to kick off their 2010-2011 Broadway season with a super fun giveaway. To be entered to win, you have to be a fan of Working Women of Tampa Bay and The Straz Center for the Performing Arts and post a comment on this blog about what you love about being a Working Woman!! Winner will be announced on Monday at 10am. The tickets are for Tuesday night's show. The winner's name will be placed at Will Call. By the way, Working Women of Tampa Bay can save 50% off select seats ! Use promo code DORALEE and save on tickets to the Tuesday or Wednesday evening performances in price levels 1, 2 or 3. Each purchase is limited to 4 discounted tickets. Offer not applicable to prior sales. Cannot be combined with any other offer. Subject to availability. Tickets can be purchased at the Straz Center Ticket Office, by calling 813.229.STAR (7827) or visiting STRAZCENTER.ORG. Want to win tickets to the Halloween event of the year? Working Women of Tampa Bay is teaming up with Busch Gardens to give away (2) tickets to the Howl-O-Scream! It's 11th season has MORE haunted houses than ever before, ALL-NEW scare zones, Alone – a revolutionary idea in how guests experience haunted attractions – and a live concert each night of the event by the rock stars of horror – Sylvie and her killer band, My X.
Howl-O-Scream is $74.95. You can cash in on discounts participating Publix Supermarkets and at MyXRocks.com for Passport Members and Florida Residents. Discounts are also available with promotional codes from select Pepsi, Domino’s Pizza, Applebee’s, Smoothie King and Muvico theaters. To enter to win - you must be a fan of Working Women of Tampa Bay and Howl-O-Scream and post a comment on this blog. Winner will be drawn at random on Friday, October 15th. PS: For an inside peek at this year's Howl-O-Scream fun, check out this photo gallery from Metromix. What’s your story? Do you have one? Is it consistent and relevant? Without having a strong consistent brand/story developed for your organization all of your other marketing campaigns will fall short. Many organizations become so excited about launching new and exciting marketing strategies they overlook the importance of building this important foundation first. Just like life, you need to know who you are before you can attract others. Building a brand is more about a snappy logo or catchy slogan. Building a brand is about telling your customer a story about who you are, what you believe in and why they should trust you. If you developed a strong business plan you should already have this information written down, if not follow these steps to get going in the right direction. 1) What is the goal of your business/service/product? This should have nothing to do with sales or your personal profit/success. This should have everything to do with how your business can make your customer’s life better. Why in the world, with all the many products and services out there, would your customer benefit by choosing you? 2) What makes you unique? Why would your customer choose you over the 15 zillion other ‘yous’ on the market? 3) What personality do you want to convey? Make your business human. People like working with other people, not other things…why do you think everyone moans when they have to navigate through a computerized ‘customer service’ phone answering service, or stand yelling at the ’self-check-out’ computer at the grocery store. Person to person interaction is always a better experience. Develop a personality for your business and keep it consistent in everything you do. It could be your personality, it could be one you make up….have fun and always consider what will best appeal/resonate with your target audience. You can learn more about branding at this month's Girls Night Out on 2/25! Are you an incredibly busy, highly productive, goal oriented, multi-tasking, sometimes freakishly organized, wife/mother/girlfriend, who slave drives herself to the break of dawn? Or maybe you only wish you were. How can you increase your energy; your vitality? A good philosophy to consider is an oldie but a goodie. Just take the time to consider your own wellbeing and you are well on your way. We talked to two wellness experts, who have some sage advice for those looking to attain a better quality of life. Their advice sheds light on a common theme. Only making small changes, not drastic ones, is the best way to achieve your optimum self. So how can we embark on that journey? She recommends “the ayurvedic advice of slowly changing habits for sustained success. Can't do an hour of yoga every day? No worries. Commit to 15 minutes on your mat, or 5 minutes of stretching before getting up, or even 2 minutes of deep breathing every time you stop at a red light. Eventually, all the good work adds up and changes your life!” According to her, tiny changes can make a noticeable difference in your wellness. To celebrate how you can re-connect with yourself, we invite you to join others in the pursuit of wellness this weekend at the Working Women Wellness Expo. Attend 3 seminars of your choice from a variety of compelling experts in the field. Check out WorkingWomenofTampaBay.com to find out more. Learn about Liz Sylves by visiting www.hytechslim.com, or www.facebook.com/hytechweightloss . You can connect with Megan Daniel on Facebook. Do you network? Many of us could not imagine life without being involved with either a face to face or an online network. Whether you show up personally to Meetup events or, perhaps you prefer to do your networking from home using Facebook, you may be asking yourself: why is this important to me? What you should be asking yourself is what your importance is to your network. It is deeply ingrained in human consciousness to be connected. The reason, as the poet John Donne stated, is that “no man is an island.” Sexism aside, imagine yourself on a raft in the middle of the ocean. You are perfectly happy with your little space; you don’t see anything bad on the horizon. You continue to float along on your little happy raft without worry. Suddenly and without warning, your raft springs a leak and you begin to sink at an alarming rate. You shout for help until you lose your voice. No one answers. Now, imagine your raft is connected to a circle of other rafts, which in turn are also connected to many other rafts. In that same terrifying situation, everyone’s buoyancy combined can keep you from sinking. I believe the mantra is: “I have a friend who knows someone who can help you with that!” This is the power of networking. It is also a basic human survival technique. But let’s not oversimplify things. Consider also the more technical ways to more concretely understand how you stand in your social network. Think of yourself as a small node: for example a single brain cell, or one home computer connected to network. Scientists and technicians use two factors, known as “betweenness” and “closeness” to determine a particular node’s usefulness on a network. Your “betweenness” factor measures how much control you have over what flows between yourself and other members of a network. In quantifiable terms, this is the number of times you are able to connect to others around you. Ask yourself: “how often is my node a connector in the pathway of communication between other nodes?” So from this we know that the amount of people you introduce to others in social settings, either directly or indirectly, is very important. The other factor of measuring your influence in a network is your “closeness” factor. This reveals how easily you can access what is available on a network. If you had an emergency, how quickly could you get your request to the entire network? Appraise what resources are available to you, should you need them. What are you personally making available to other members of your network? When a brain cell fails, the other cells around it extend their growth to keep the brain functioning properly. Computers aren’t yet this advanced, however a single computer can make available to the other machines around it greatly increased availability of information and speed of retrieval. We can learn from these examples that routinely examining and enhancing our own levels of betweenness and closeness can make our network stronger, which will in turn make you a stronger member. Big thanks to everyone who helped support the Working Women of Tampa Bay during the Holiday Season. Early estimates indiciate that more than $1000 changed hands between members thanks to the contest. We are pleased to announce the winners on the raffle. If you're on the list, please send us an e-mail to claim your prize. Happy Holidays! The holiday season, also known as the time of giving, is once again in full swing. But is it centuries of tradition that drives us to give gifts to others at this time of year, or is it perhaps something much more primal? Recently, I was intrigued by an article in the New York Times that suggests that brain chemistry and deeply ingrained instinctual drives are the true cause of the holiday spirit. The article tells the fascinating story of a woman named Cami Walker, who was diagnosed with Multiple Sclerosis. After many unsuccessful attempts to relieve the physical and mental pain that accompanies her disease, she resorted to an unusual form of therapy suggested to her by a holistic medicine specialist. The prescription was to give a gift every day for 29 days. Although skeptical, she was desperate for relief, and decided to give it a try. The result? At the end of her treatment, test results showed that her MS had stopped progressing. She was also able to stop taking her pain medication. The effect of this “giving treatment” was so profound she decided to write a book about it, entitled “29 Gifts: How a Month of Giving Can Change Your Life” (Da Capo Press). Unfortunately, a syndrome I will call “over-giving” affects many people at Christmas time, and I believe the underlying cause of this is the unconscious thirst for the rush of endorphins that comes from giving. It is estimated that banks will earn $1.8 billion in overdraft fees during this year’s holiday season. Are these financial institutions taking advantage of the primal human drive to give - and give more than they can afford? Times are tough and everyone is under extra stress this year, which leads me to suspect that there will be a lot of overcompensating for negative feelings through over-giving. I will be the first one to admit that I have sought relief from my troubles by shopping my sorrows away for holiday gifts. Although this practice definitely elevated my spirits, the end result is usually increased stress due to strained finances come January. Now that I am more aware of the bio-science behind giving, I can consciously channel this urge in more constructive ways. Because we are all under an inordinate amount of stress this particular holiday season, I think a wise choice would be to satisfy this increased need for endorphins by balancing gift giving with giving of yourself. As illustrated in Ms. Walker’s book, therapeutic levels of endorphins can be attained by simply doing something kind for a stranger. You don’t have to buy a lavish gift for someone to produce the “helpers high.” You can feel just as good, if not better, by doing something simple, thoughtful, and inexpensive. Additionally, the altruism must be completely voluntary to produce the desired effects. Ms. Walker credits her success to spending time with people, offering emotional support, and small acts of kindness. So you don’t necessarily have to run out and join the Peace Corps if you are feeling blue, all you need to do is be more patient and kind in your everyday life. You will be surprised and satisfied by both the psychological and physiological results, and perhaps avoid over doing it on presents this year! To learn more about giving and how it can improve your overall health, visit 29gifts.org. And to all my loyal readers, have a happy and healthy holiday season! I look forward to connecting with you at Working Women of Tampa Bay events in 2010.